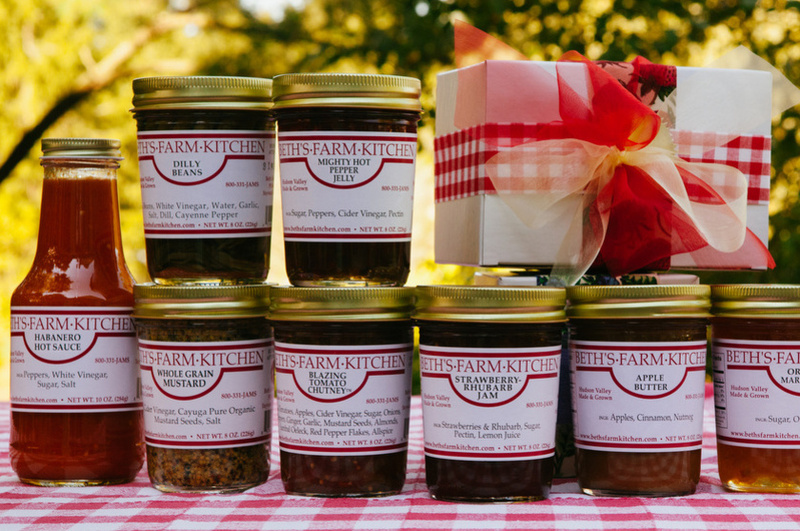 Jammers at Beth's have been making jams, chutneys, marmalades, and pickled vegetables since 1981 from a 1850s farmhouse in Columbia County in New York State. As part of New York City’s Greenmarket, Beth’s Farm Kitchen buys only local fruit and vegetables to support the regional economy. Specializing in over 90 flavors of jam, Beth’s is known for innovative and seasonal flavors, including Cherrycot, Raspyboyberry, and Strawberry-Rhubarb Jam (a winner for all seasons! ), as well as a line of tantalizing and delicious chutneys, which she makes with her husband, Charlie, from recipes she has either developed over the years, or inherited from friends. With a passion for developing new flavor combinations, jarring fruits and vegetables, Beth’s Farm Kitchen has become a staple in restaurants, commissaries, and pantries around New York. Beth's Farm Kitchen has been reviewed and featured in Serious Eats, and received an amazing score of 28 for quality in Zagat's Food Lover's Guide 2011/2012. Products Overview: Jams, chutneys, and sauces.